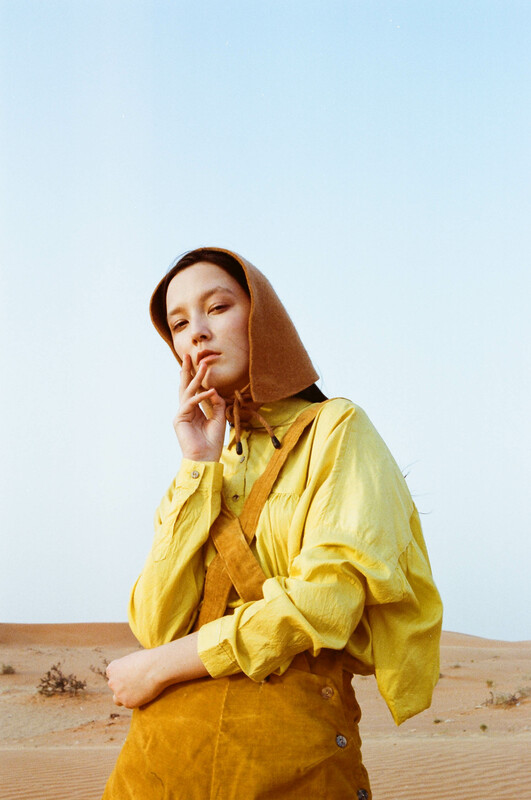 Dubai-based photographer Mashael shoots the Fall / Winter 2108 collection of Hala Kaiksow in an exclusive story for Le Paradox. 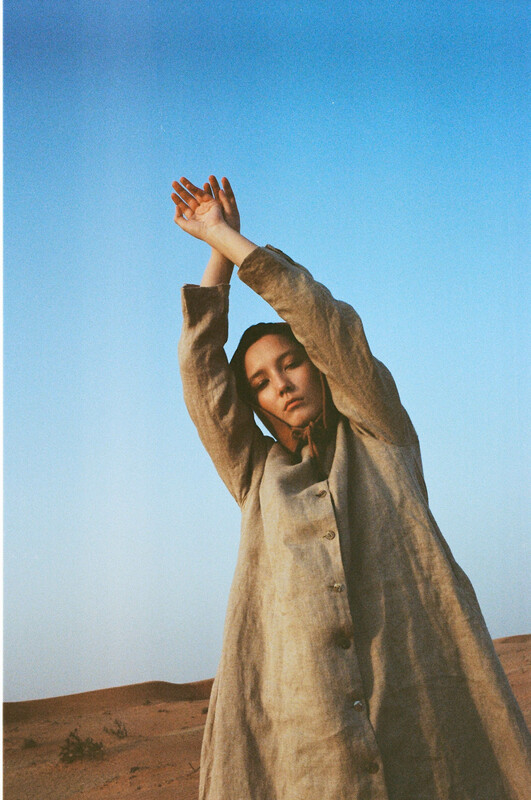 Dubai-based photographer Mashael shoots the Fall / Winter 2108 collection of Bahrain emerging designer Hala Kaiksow in an exclusive story for Le Paradox. 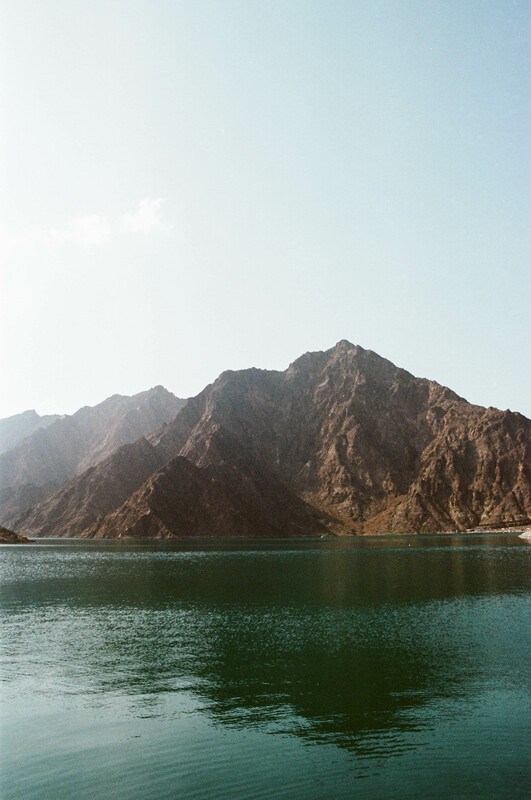 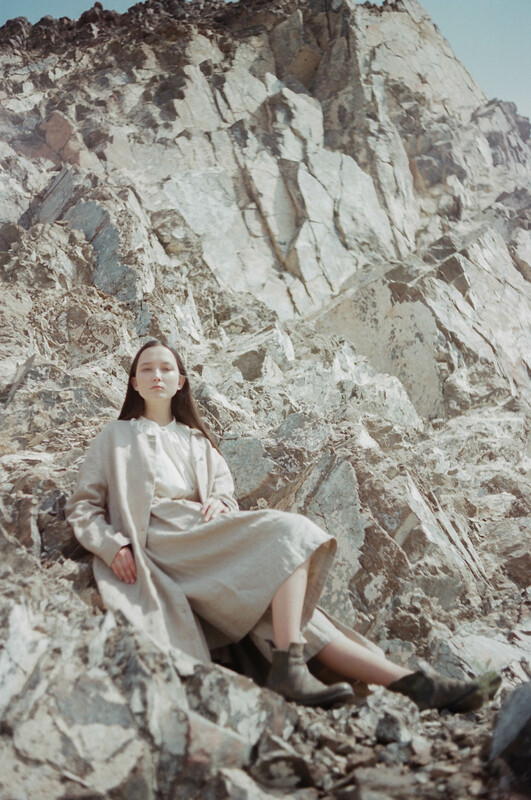 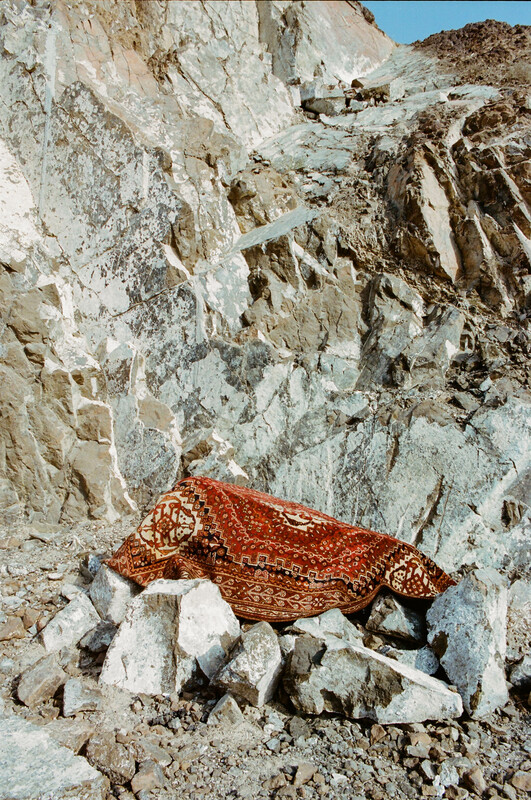 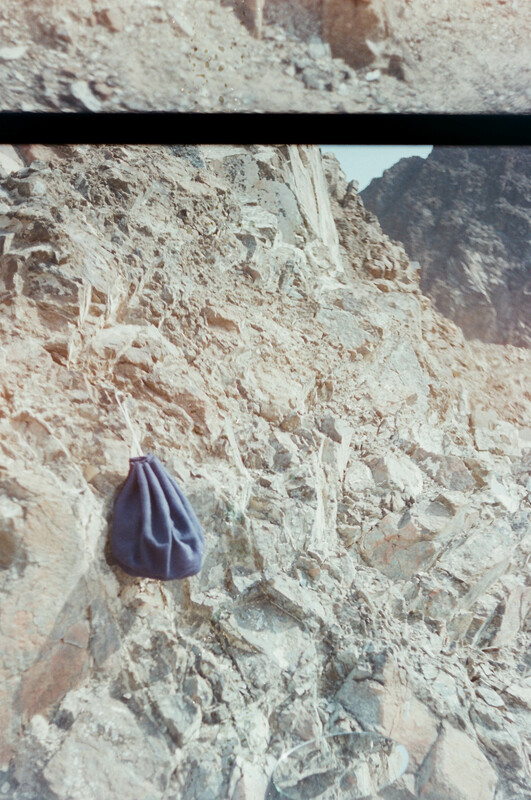 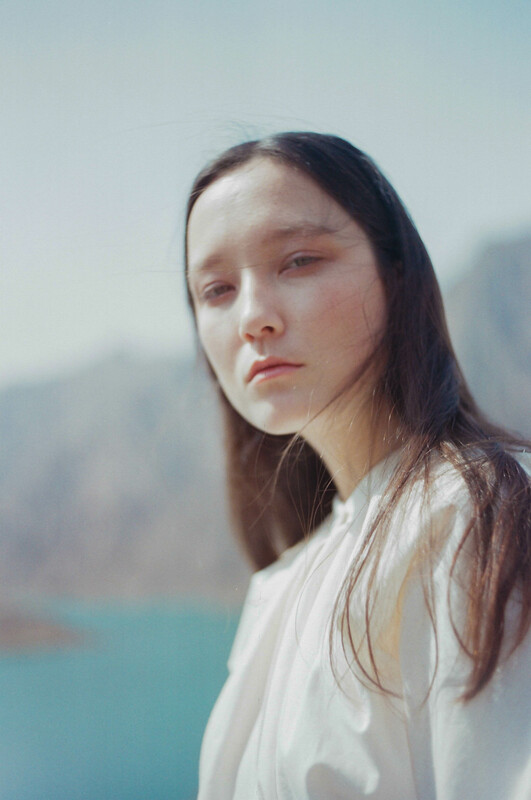 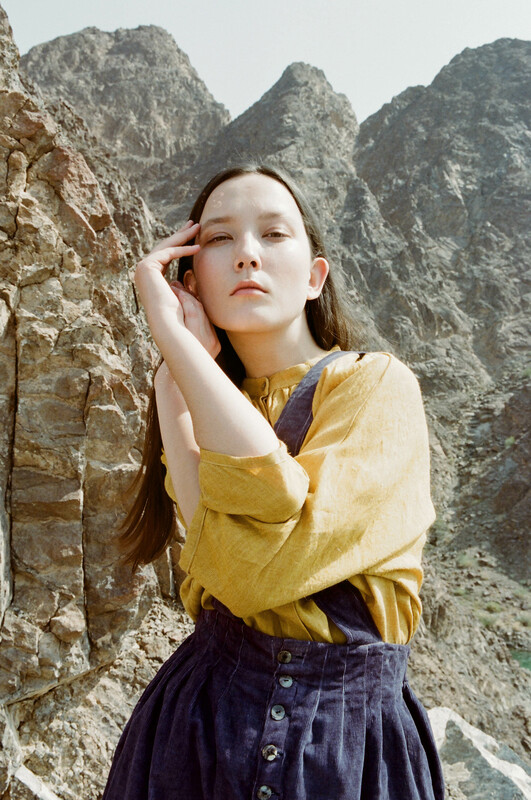 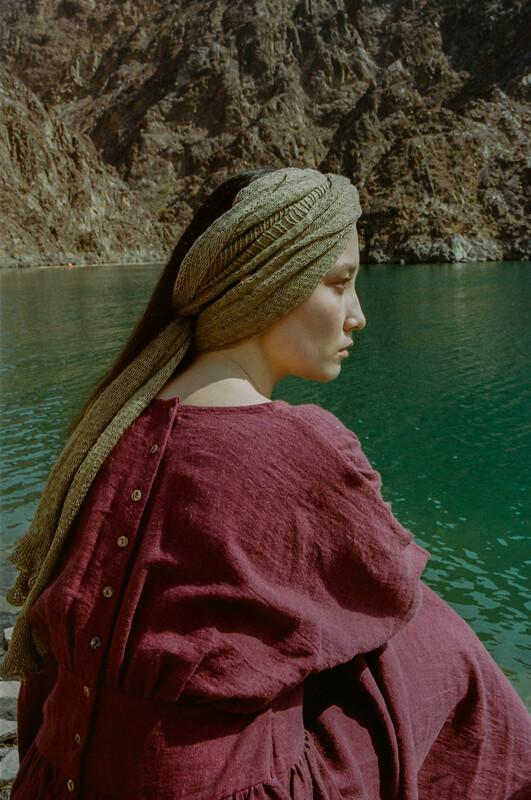 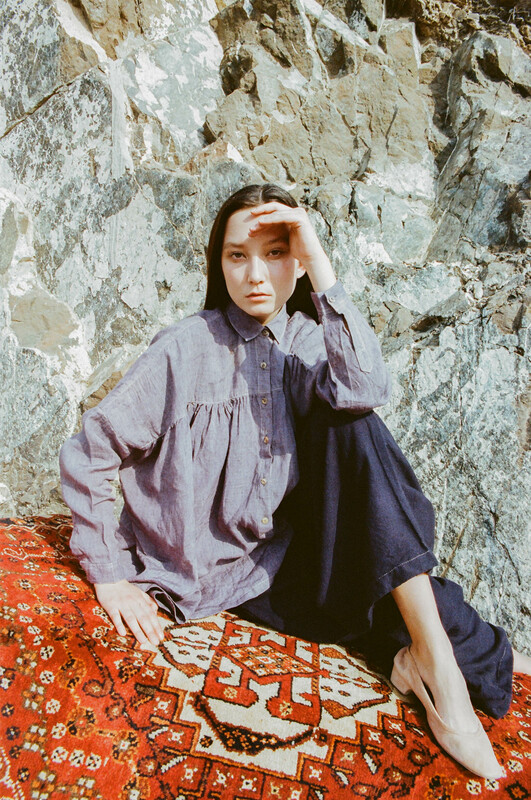 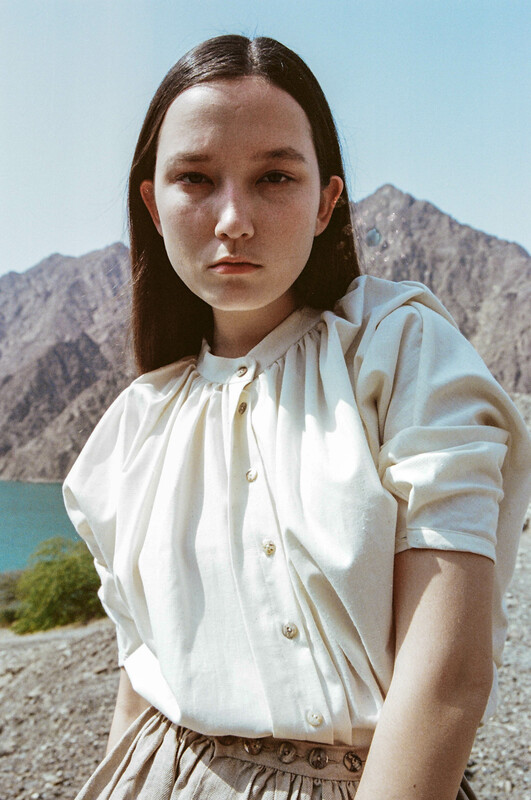 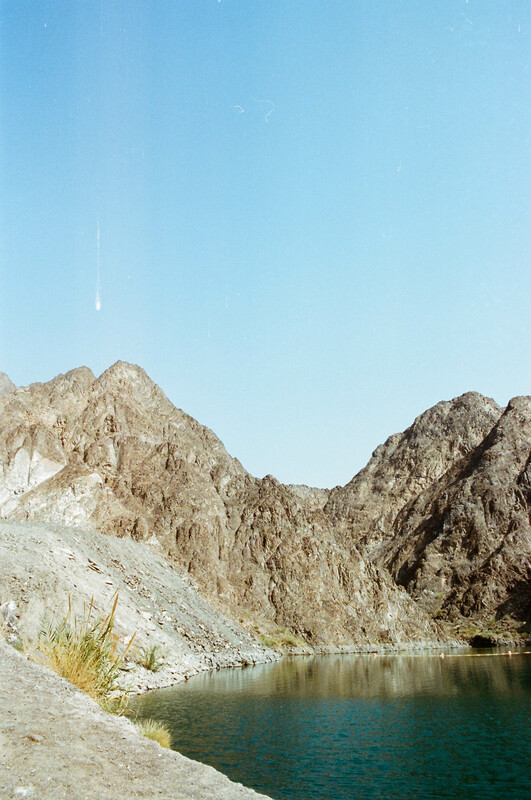 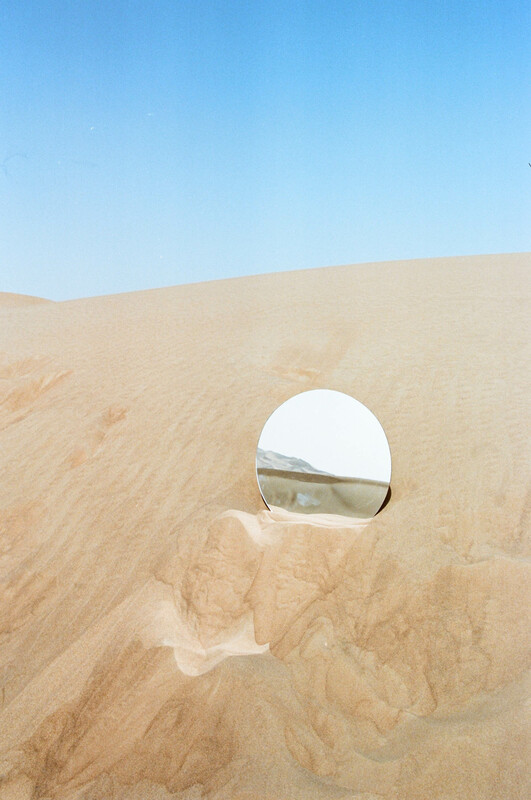 They traveled to Hatta, an incredible natural lake surrounded by rocky mountains at the border with Oman, where the unconventional beauty of Alena Nurgaleeva stood out in all its majestic splendour. 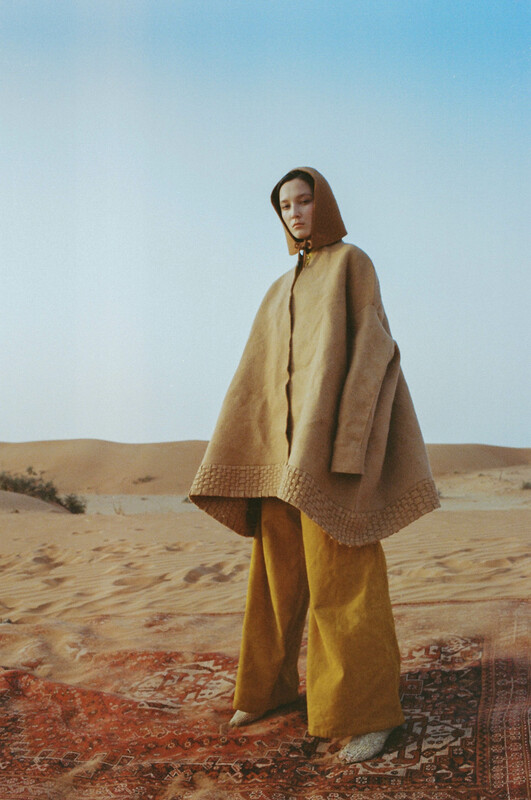 The clothing narrates the nomadic adventures of gipsies of past times, of Tuareg tribes crossing infinite deserts, of British paesants and folk life. 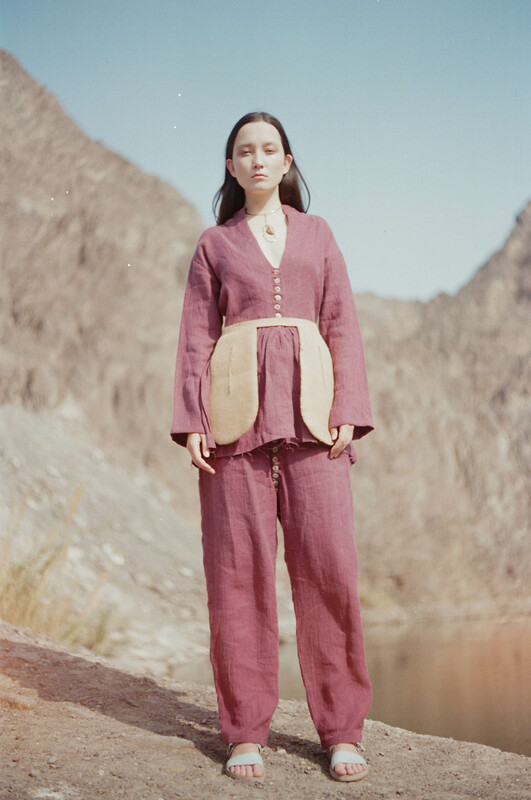 Hala‘s imagination has no boundaries and weaves together different elements in a single, consistent story, which subtly unfolds from the garments look after look, embellished by precious mother of pearl buttons and delicate silver threads. 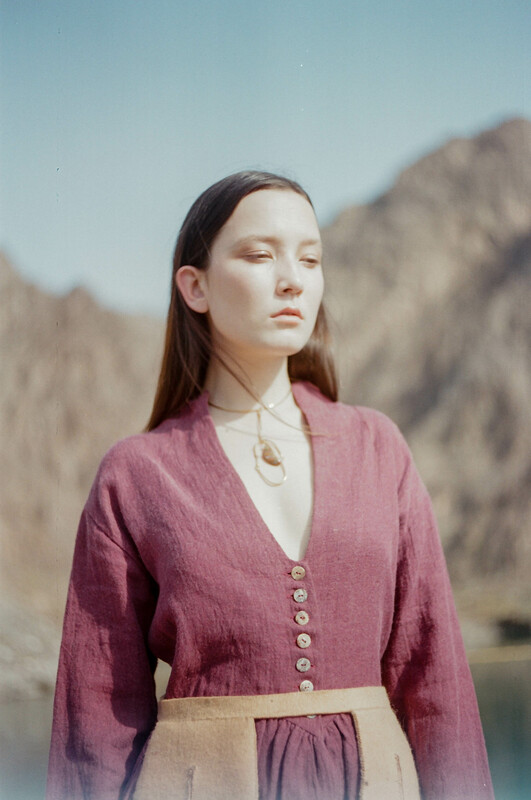 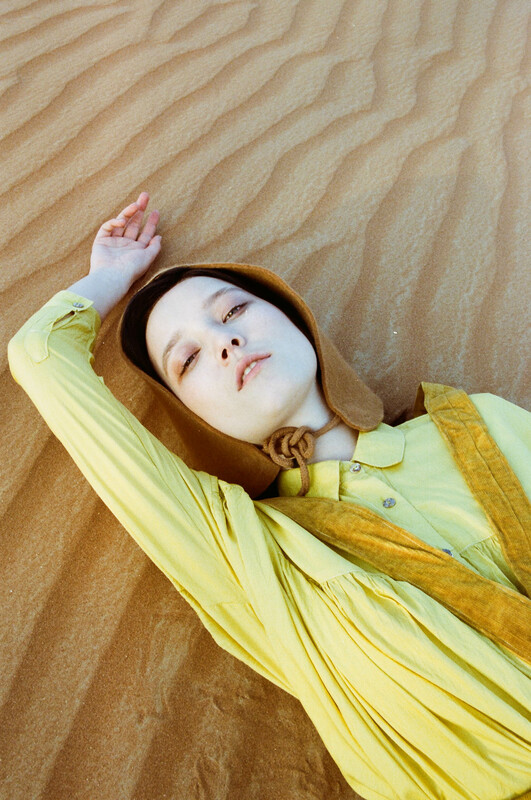 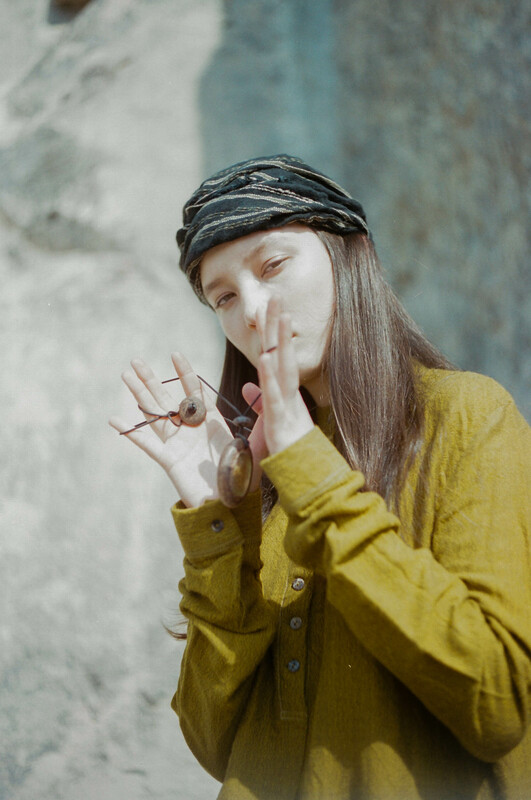 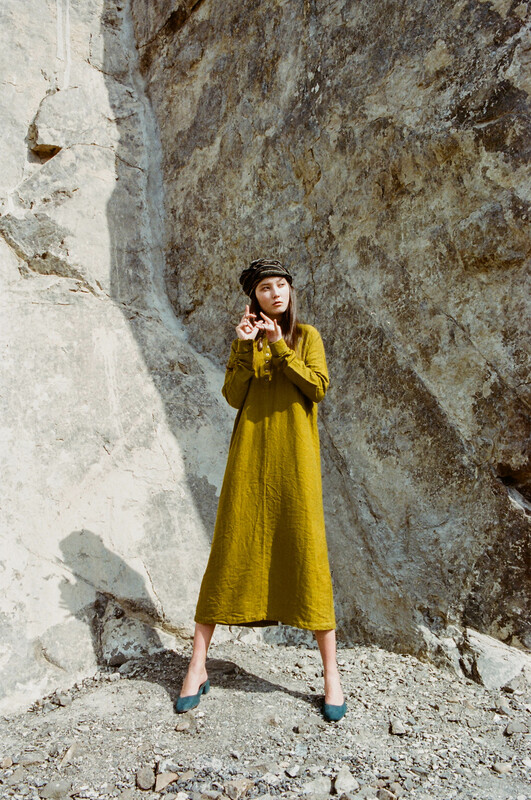 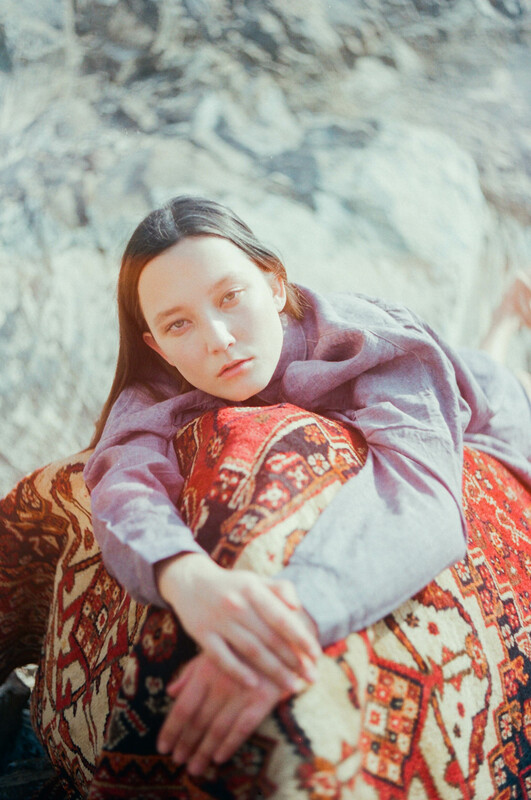 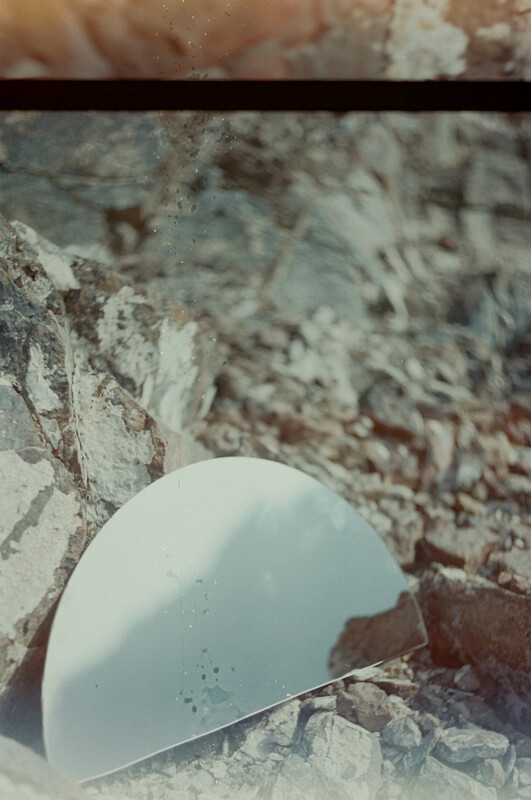 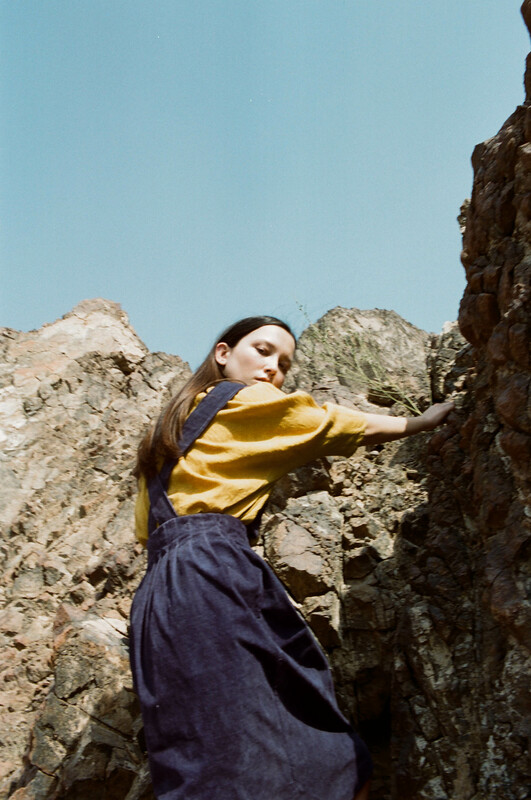 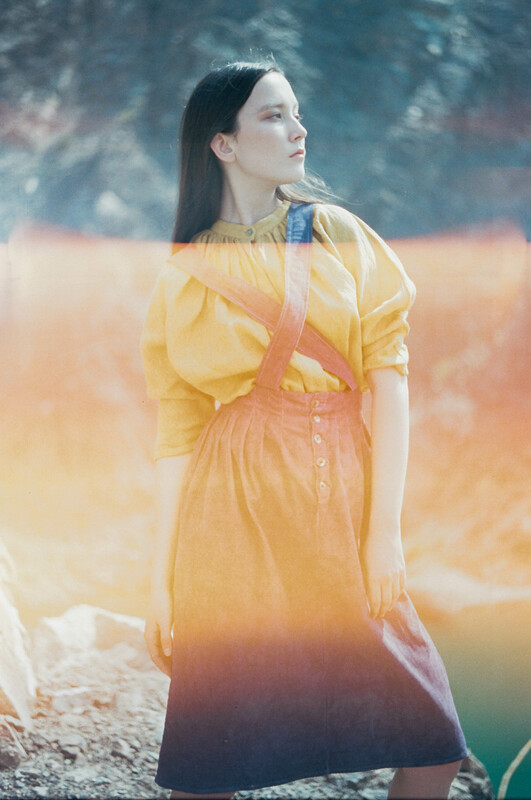 The clothing inspires freedom, untamed elegance, hunger for discoveries, crossing horizons between old and new perfectly captured on film by Mashael, who only used vintage cameras to shoot the images. 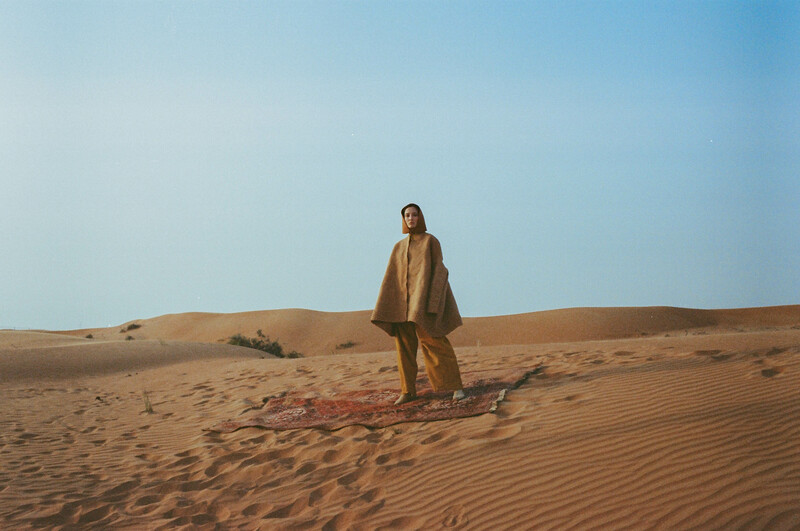 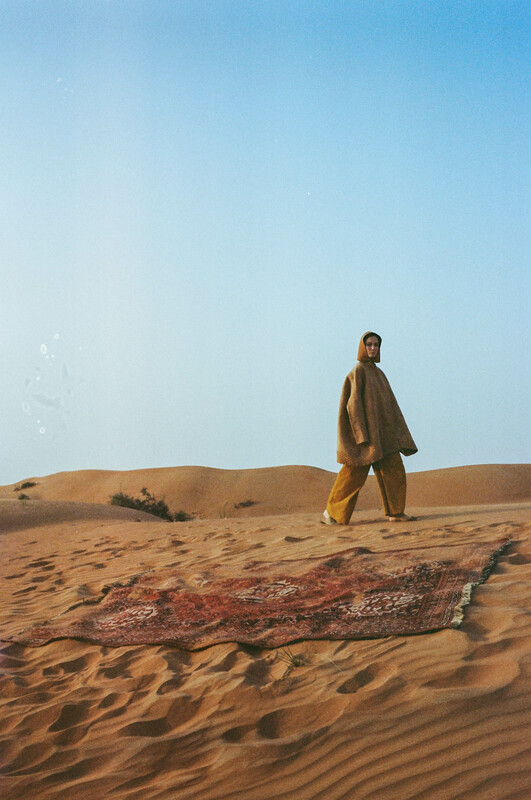 On the way back a sand storm caught Alena between the dunes, and Mashael portraied her while she stood still on a Bedouin carpet, enjoying the magnificent strenght of the elements dancing in the wind under the blazing sunset.